Founded by Carl Wool in 1957 out of his garage, Wool Supply has grown into a major channel plumbing supply distributor comprised of nine locations, with over 140 employees and 30 delivery trucks. Each of our locations is conveniently located and fully stocked, allowing Wool to meet the needs of our Florida customers for over 60 years. Wool Supply distributes a diversified portfolio of plumbing products and supplies, including faucets, fixtures, pipe, valves, and fittings. We service residential, multifamily, and commercial sectors, featuring a wide array of domestic and international products from dozens of the world's leading manufacturers. We proudly fulfill the needs of large and small projects. Wool Supply is committed to providing you with the products, resources, tools, services, and prices to help you compete in today's marketplace. You can always rely on us for quality products, outstanding service, exceptional inventory, fast delivery, and unparalleled value. Wool Supply is reliable. courteous. knowledgeable. on time. plumbing. Florida. Our personnel are highly trained with the latest product knowledge, ready to assist you with your project. 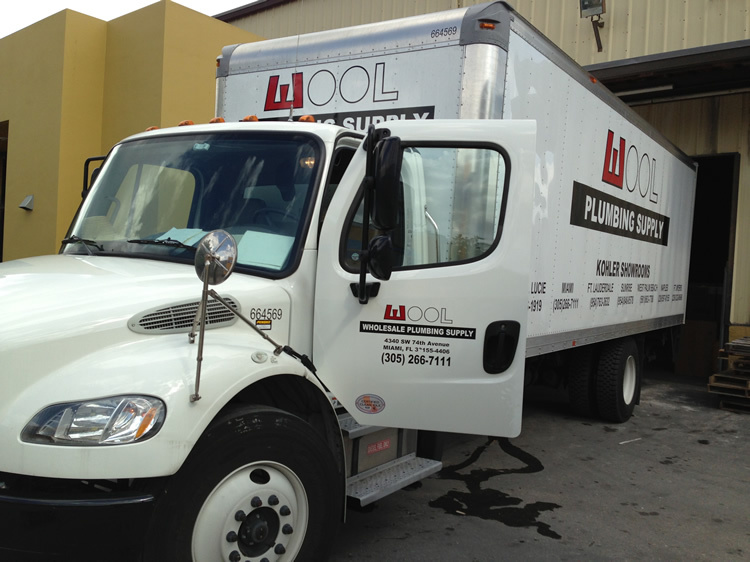 We have numerous trucks at each of our locations across Florida, so we can efficiently reach your home or job site. We have experience on large and small projects, including enormous residential and hospitality projects. We work closely with plumbing contractors, builders, and architects to identify and supply the perfect product for the job. We purchase in wholesale quantities, allowing us to extend competitive pricing to our loyal customers. With 9 strategically-located warehouses, we stock thousands of products across the entire state of Florida.